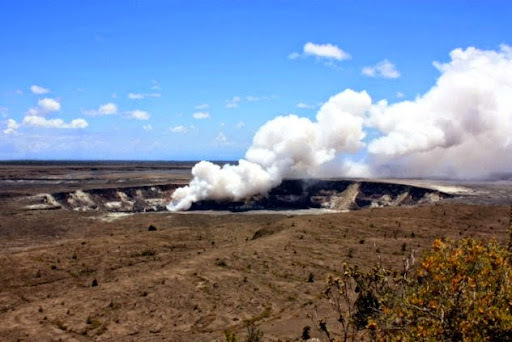 If you're the type that thinks checking out an active volcano is the way to go for a vacation, you're in luck, as you have a couple of different choices in Hawaii. Both have track records of death and the National Park Service actually temporarily shut down the bicycle tour (mentioned below) in 2007 after there were three deaths and a number of serious injuries within the space of a year. For a fee-about $100-tourists are driven up to the top of an active volcano and they then ride a bicycle down. Deaths came when people lost control of their bicycles on the downgrade, but that's not the only way taking a volcano tour can kill you. In the decade between 1992-2002, Hawaii Volcanoes National Park reported 40 deaths and 45 major injuries. The volcanoes-including Kilauea, which has been erupting almost non-stop since 1938-are a major tourist attraction for the islands. Called geotourism, the trend exposes people to a number of risks aside from the potentially deadly lava. Just as dangerous as the obvious lava flows are the gases that are released into the air. A number of the deaths are of park staff as well as tourists and are attributed to the presence of lava haze. The haze, which looks like a harmless white vapor cloud, is actually a deadly mix of hydrochloric acid, hydrogen sulfide, and carbon dioxide. The gases, while deadly on their own, can also increase the problems caused by asthma and heart conditions. Add in the scalding ocean water, the potential for flying rocks, and a chronic lack of preparation on the part of hikers, and the potential for death-or at least serious complications-from checking out Hawaii's volcanoes is high.